With the introduction of the video assistant referee technology in football that got its first trial at the club world cup in Japan, so many challenges and controversies has been encountered but it is only natural. Change of this magnitude especially in football should come with controversies as expected. 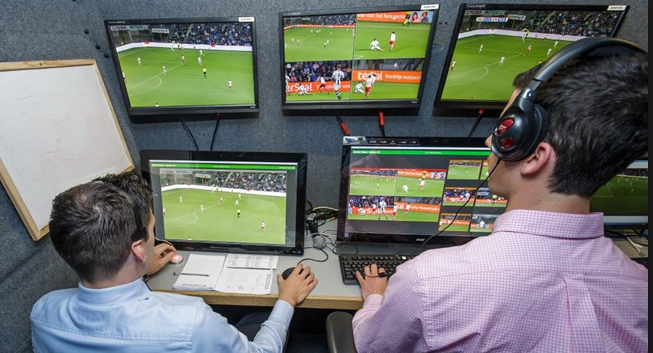 Video assistant refereeing simply involves the use of an assistant referee who sits outside the stadium watching televisions and has the right to overrule decisions and call the referees attention even if play is ongoing. When we say the introduction of VAR will change football for the better it is true because decisions would be referred to the VAR to avoid mistakes and controversies. This means the referees do not have the final say as there would be room to refer any controversy to the VAR for final decisions. This technology would ensure correct decisions are made during game refereeing. Just recently, through the use of video technology two off side goals were canceled when France took on Spain. The referee received a message in his ear-piece device from the video assistant referee. Come next season the English FA has decided to make use of the VAR for FA cup matches and subsequently it might be introduced into the league. FIFA president has said the video assistant referee technology would be used at the next FIFA world cup coming up in Russia. But, what happens when the game is still “ON” and the VAR intervenes? Let’s hear your ideas on the comment box.